What sets us apart is our exceptional level of patient care! You can trust the doctors at Advanced Spine & Rehabilitation to help you get back to optimum health. At Advanced Spine & Rehabilitation, based in Henderson and Las Vegas Nevada, we strive to go beyond the expected to deliver the most positive patient encounter possible. Chiropractic care brings relief to patients who have previously been living in pain, without the harmful effects of drugs or surgery. 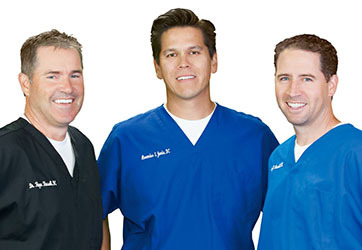 Our Henderson chiropractors can explain how chiropractic can add years to your life and life to your years. People living with symptoms, do not enjoy the same quality of life that those who live symptom-free do. As your chiropractor in Henderson, we will consult with you, discuss your current problems and health concerns and explain exactly how we can help, using the natural healing techniques incorporated in chiropractic care. Patients who seek chiropractic treatment at Advanced Spine & Rehabilitation, here in Henderson and Las Vegas, can be sure that they will experience the most modern and up-to-date chiropractic techniques available. Discover how chiropractic care can put your health concerns to rest. The staff at Advanced Spine and Rehabilitation look forward to meeting you and providing the very best in chiropractic care, a natural healthcare technique used for centuries. We hope you find this website useful. If there are any questions that remain unanswered, please call us and we will be happy to help you any way we can. We can even schedule an appointment for you over the phone. You may also use our appointment request form to schedule your appointment online! If you live in Las Vegas or Henderson and have sustained injuries from auto accident, we can help you resume your life pain free. Take time to register for your free consultation. Pain in the lower back is common after a car crash. Chiropractic Care can help!